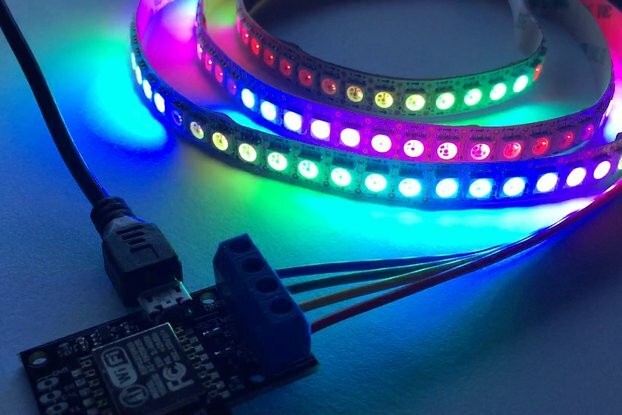 Thirty two 7+1 segment LED digits, controlled over '8N1' serial by a simple command protocol. 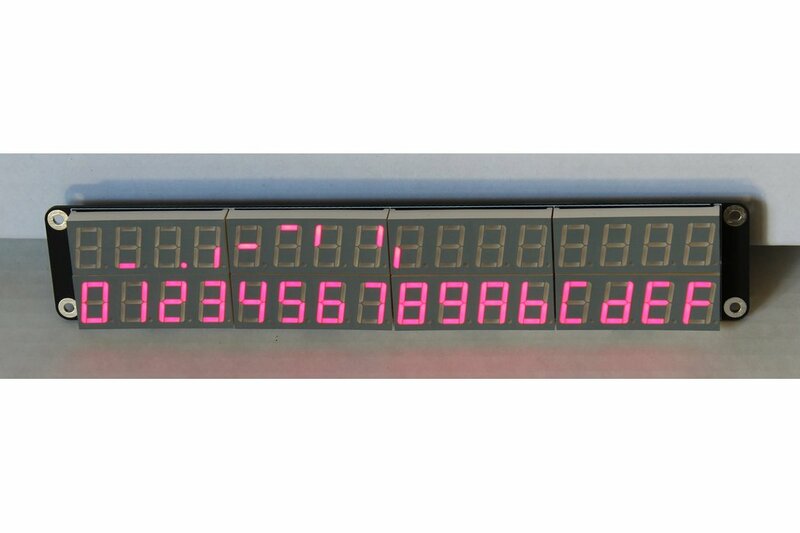 This is a large display that features thirty two 0.56" digits (plus decimal points) in 2x16 configuration. It is controlled over a 2400, 9600, 57600, or 115200 baud '8N1' serial connection using a simple command protocol. All a user needs to get started is a serial connection (like an FTDI serial cable), a regulated five volt power supply that can provide at least one amp, and some jumper wire. 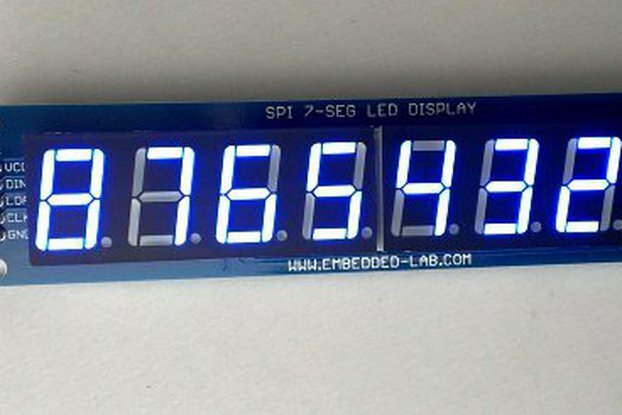 The display uses a Holtek HT1632C LED driver chip and an Atmel ATTiny2313A. A programing header is provided for the microcontroller so the user can upload their own code. 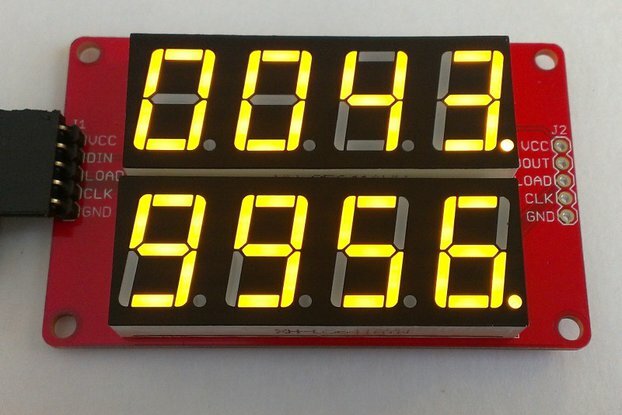 I was originally looking to build a replacement for a desk clock, but realized that the display design might be useful for other projects where one might need a large, bright display. 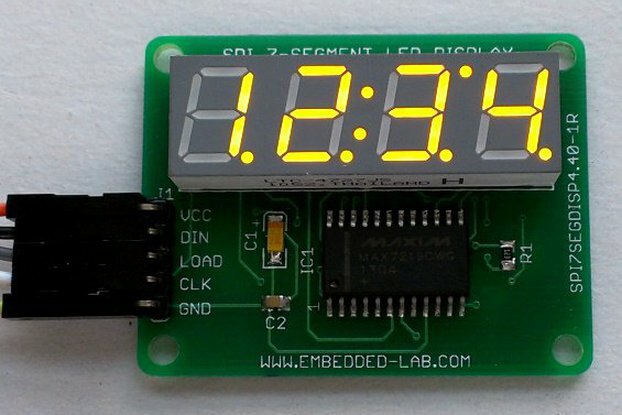 Some example uses include a date/time clock, a score or information readout for computer games (a readout for Kerbal Space program, for example), environmental monitoring in a greenhouse, lab, or home, and information display for exercise equipment. I was also interested in the production process of hobbyist-level electronic kits, and low quantity production in general. These displays were the product of that investigation. They were hand-assembled (all soldering was done by hand with a standard iron), programmed, and packaged literally in my bedroom.